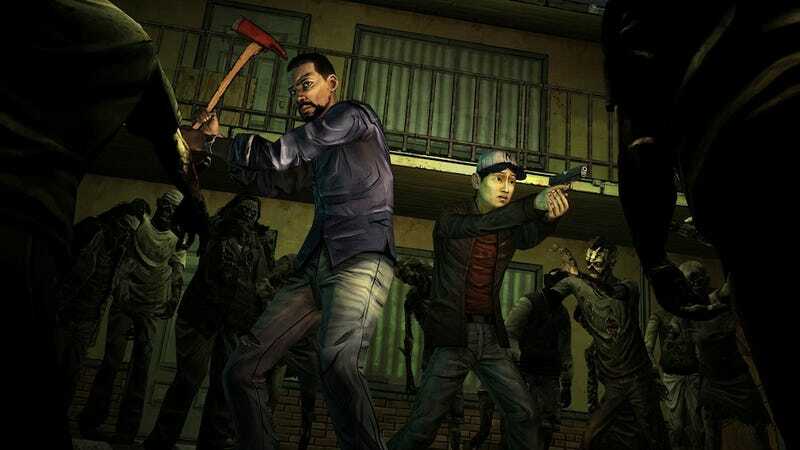 Telltale's The Walking Dead game may have won its share of year-end awards and accolades, but it's not without some problems. Notably, the game can be quite buggy, particularly the disc-based, retail Xbox 360 version. The game's designer Telltale is now running an amends program for anyone struck by "hitching" in the game, which is common to the on-disc version when played on a 4GB Xbox 360. If you've got the problem and don't want to buy a bigger hard drive, you can fill out this form and take a picture of your game case leaning against your TV screen, and Telltale will send you a code to download a digital copy. "We value our customers," writes a Telltale's representative, "and sincerely apologize for any inconvenience caused."